I had to be in Orlando for a few days on business and I had low expectations for craft beer at the resort hotel. As I headed out for dinner the first evening, I peaked over at the lobby bar and spied some familiar beers on display; Great Divide Colette, Bear Republic Racer 5 and Oskar Blues Old Chub were recognizable even from a distance. I decided to have a seat and a beer before I went in search of food. The aroma aroma was a mix of fruitiness and citrus hops. The flavor was a decent combination of citrus bitterness and piney resin, and a bit of sweet malt hung in the balance. The flavor profile almost crept into the IPA area. Slightly resinous and sticky in the mouth, Pine Belt Pale Ale leaves a lingering bitterness in the finish. The unfiltered beer had a thick mouthfeel. In fact, I could detect sediment in several sips. That likely came in as I emptied the 16 ounce can into the 12 ounce glass. 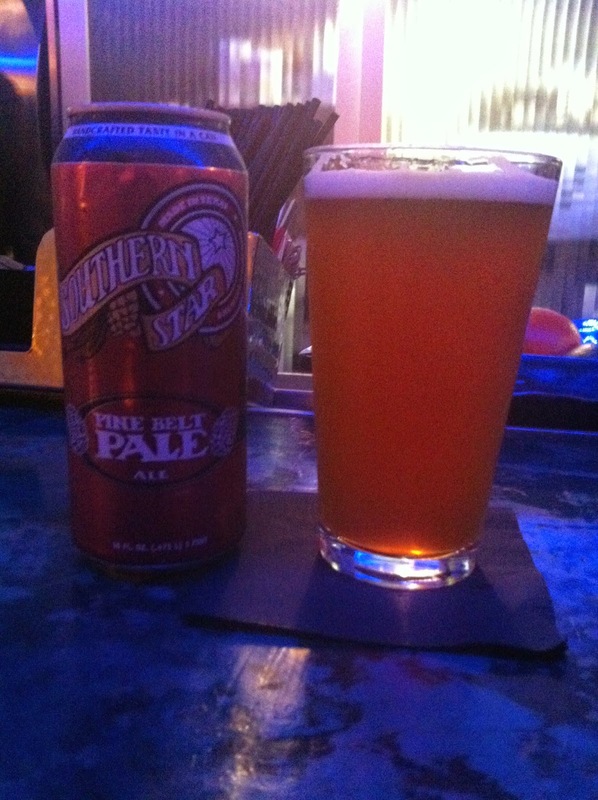 I enjoyed the Southern Star Pine Belt Pale Ale while engaging in an interesting discussion with another patron, inspired by the bar's Macallan Whiskey selection. Though at $90 a shot for the Macallan 25 Year Scotch, I opted for another serving of the beer.